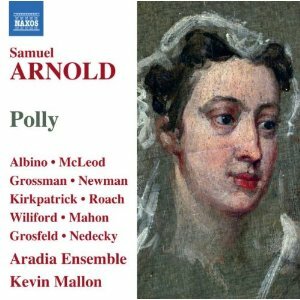 Samuel Arnold: Polly | Lawrence Wiliford | Dispeker Artists, Inc.
Pepusch’s ballad opera Polly, composed in 1729 to John Gay’s libretto as a sequel to their highly successful The Beggar’s Opera (1728), never reached the stage owing to government censorship. In 1777, Samuel Arnold completely renovated the score, which established his reputation as London’s preeminent theatre composer. With its melodramatic tale reuniting Polly Peachum and Macheath in the West Indies and ending in Polly’s marriage to the ‘Indian prince’ Cawwawkee, this ‘island paradise’ opera was a huge hit and remains enormously entertaining today.